Foragers have discovered the culinary appeal of many invasive species – Japanese knotweed (Fallopia japonica), garlic mustard (Alliaria petiolata), and lamb’s quarters (Chenopodium album) to name a few. 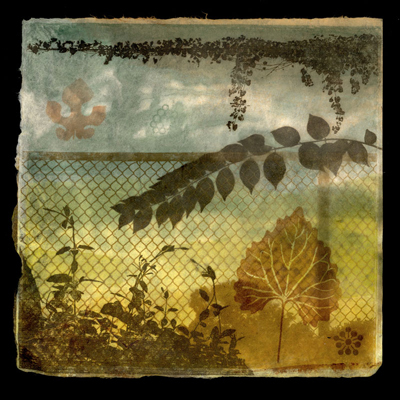 Beyond incorporating creative cuisine in a plant’s management strategy, weedy imports are put to use in Patterson Clark’s versatile artwork. 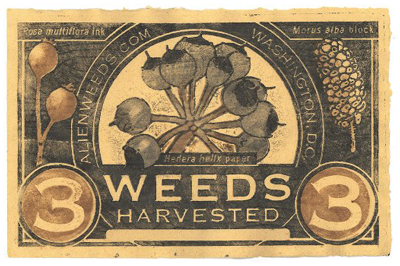 Clark harvests alien weeds in the Washington D.C. area to produce ink, paper, printing blocks, and brushes. Rediscovering invasives as a resource. 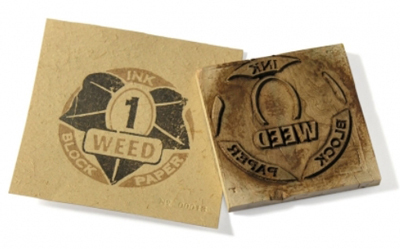 Three-weed note: English Ivy paper, multiflora rose (Rosa multiflora) ink and white mulberry (Morus alba) wood block. Bas relief: Panel made from Norway maple (Acer platanoides). Ink manufactured from the roots of wineberry (Rubus phoenicolasius), leatherleaf mahonia (Mahonia bealei), European stinging nettle (Urtica dioica) and Japanese Honeysuckle (Lonicera japonica). Ink from Irish ivy (Hedera hibernica), multifora rose (Rosa multiflora), Oriental bittersweet (Celastrus orbiculatus), leatherleaf mahonia (Mahonia bealei), Amur honeysuckle (Loniceramaackii), white mulberry (Morus alba) and sycamore maple (Acer platanus) on paper from paper mulberry (Broussonetia papyrifera). Images courtesy of Patterson Clark. 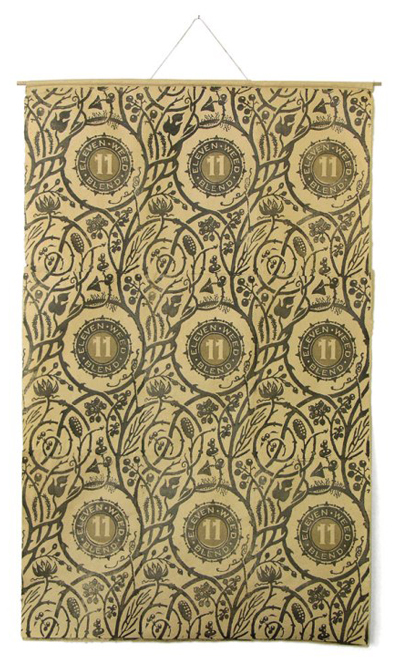 This entry was posted in Art/Design on September 12, 2013 by Barbara.